The air is as crisp as a Washington Honeycrisp, while folks clamer for all things pumpkin this time of year. Yet, who in their right mind wraps up in a cozy pashmina, sipping on their favorite pumpkin spice latte as palm trees sway in the distance? Depending upon where you live, rambutans may be more readily available than butternuts. Even still, our bodies gravitate toward the Ayurvedic principal of warming foods, as the solstice draws near. After all, “to everything, there is a season” and it’s important to nourish ourselves from the inside out. We always love catching up with Robert Schuller over at Melissa’s Produce for what’s in season. Here’s his Top 10 autumn produce picks and tips to make the most of this bountiful season. Dutch Yellow Potatoes are the best selling baby potatoes in the USA, and for that matter, the best tasting baby potato, too. No need to peel these babies. Leave their skins on, as that’s where the nutrients mostly are. Ruby Gold Potatoes are the cousin to the Dutch yellow potatoes, except they have red skin. Cook them any way you like, but make sure to skip the fridge when storing them. Mixed Fingerling Potatoes include Russian Banana, Ruby Crescent, Purple Peruvian and Amarosa varieties. Their earthy, colorful, and soak up the flavors of whatever they’re cooked in. Add them to any dish for an extra burst of color. 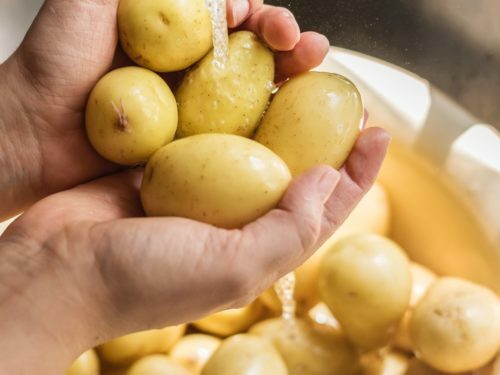 How To Tell If They’re Ripe: Because potatoes and onions grow underground, it’s difficult to know exactly when they’re ripe without actually digging them up. Once they arrive in the stores, they’re ready to go. Although, they have an extraordinary shelf life, keep them in a cool, dark place or on the counter away from sunlight or heat to avoid sprouting. 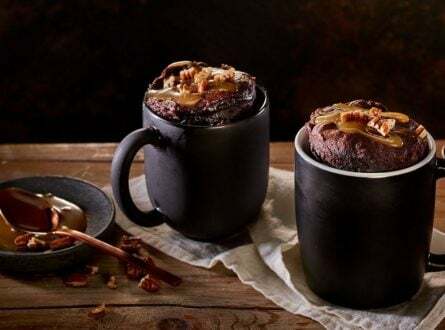 Cook a complete and tantalizing meal with the Thermomix® Varoma. All you have to do is add water to the mixing bowl, potatoes to the simmer basket, and top with meat in the Varoma tray, and voila! Your meat and potato lovers will love the flavor almost as much as you love all that extra time you saved. Pearl Onions are tiny, sweet, and come in three colors. 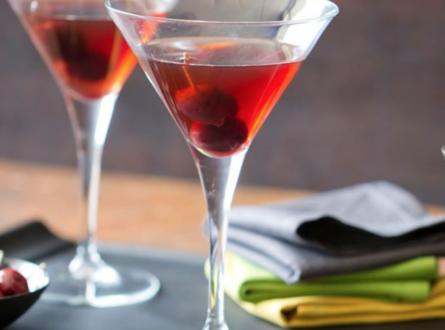 Use these for the traditional Thanksgiving “pearls and pea” side dish, or even pickle them for a holiday martini. Boiler Onions are almost two inches in diameter. 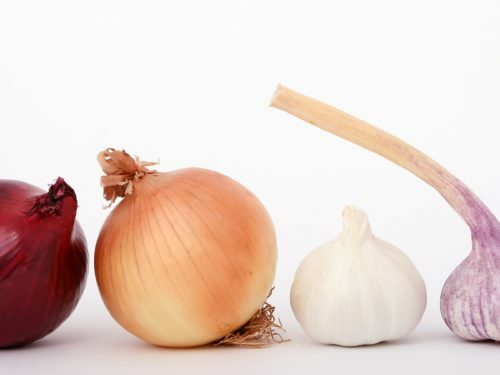 These are your go-to onion and are especially great for your favorite fall soups and stews. Avoid moisture when storing any onion. They like cool, dry places and will keep for up to two months. How To Tell If They’re Ripe: Only available on the stalk during the fall and winter, this is the freshest way to get them. 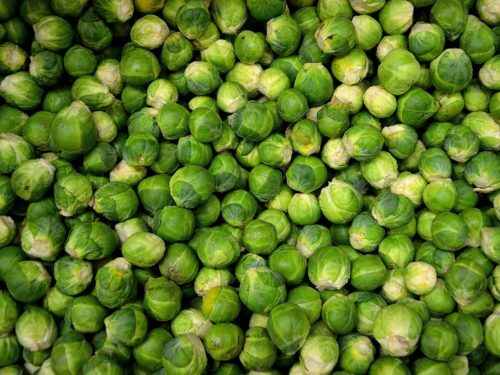 The individual sprouts you find in the spring have been cut and placed in cold storage. They’re really bulky and a little awkward, but worth it for optimum freshness. Brussel Sprouts on stalk are the freshest. Like miniature cabbage, these are the Dr. Seuss of all the vegetable kingdom. Store them on the stalk wherever they’ll fit in the fridge for up to two weeks and cut as needed. Quince have been cultivated for more than 4,000 years and look much like an apple or pear. They’re really sour raw, which most often calls for a cooked preparation. Although they bruise easily this doesn’t affect their firm texture or taste much. How To Tell If They’re Ripe: Domestically, quince is grown from September to December, followed by a brief Chilean season. 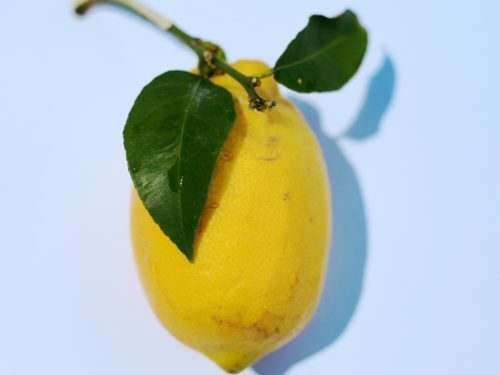 They are a fruit that are typically ripe when they’re completely yellow with a firm texture. The soft ones have been sitting too long. They’re shelf life can last up to three weeks in the refrigerator. There are many ways to enjoy Quince. Membrillo, or quince paste, is a Spanish treat sure to dress up the holiday cheese board. 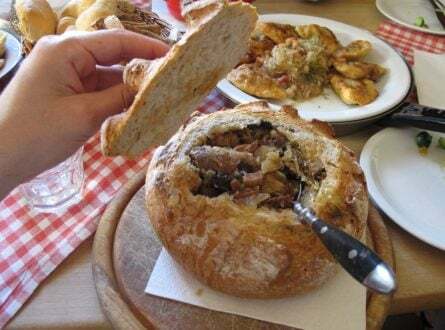 It requires poaching and pureeing the fruit, easily done with the Thermomix® cooking and blending options. Rambutan is the Seussical answer for fruit. 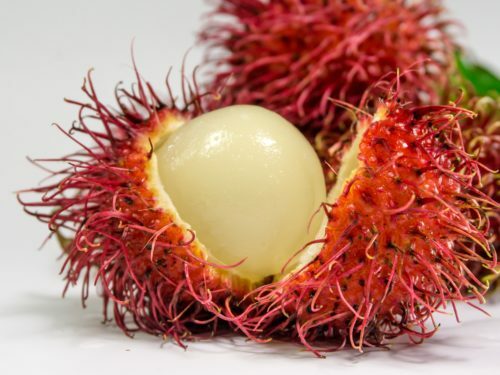 In fact, it’s name translates to “hairy fruit.” A cousin to the lychee, you can peel back it’s red, hairy exterior for a juicy, slightly less acidic version. Oh, and their fragrance is simply intoxicating. How To Tell If They’re Ripe: Look for red ones with yellow tips on the hair. Skip the ones that have started turning brown. Available year round because of their tropical origins, they can easily be found in high-end specialty stores, international markets and online. They can be stored in the refrigerator for up to 10 days. Sweet Young Coconut is best enjoyed for its sweet water and has twice as much to other coconut. Scoop the soft pudding-like flesh out by the spoonful for a sweet treat. Because they’re young and quite perishable, keep them refrigerated. How To Tell If They’re Ripe: Because they are picked early, their husks aren’t removable. So, they’re peeled in something similar to a pencil sharpener. You get two times as much water with a young one as opposed to the brown ones. To tap into these sweet ones, use a coconut jack or opener to pop a hole in the top. They must be stored in the refrigerator immediately, but up to two weeks. Truly, the quicker you can enjoy them the better. 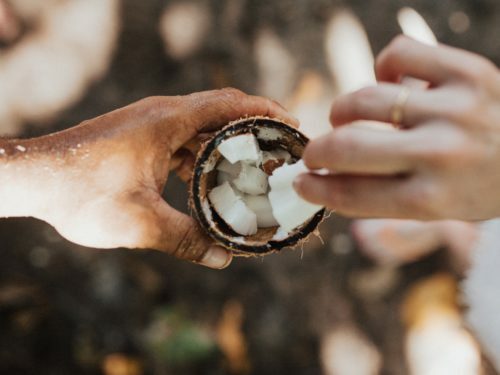 If you’re looking for a sweet coconut treat, try pairing it with chocolate using the Thermomix® controlled heating, which cooks ingredients at the exact temperature needed at all times. 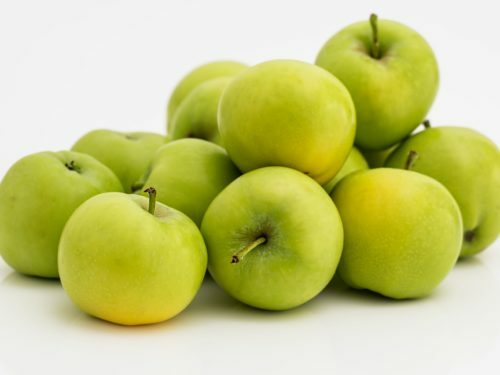 Green Dragon Apples are Melissa’s Produce pick for the best apple variety for the fall season. A cousin to the well-known Orin apple from Japan. You’re just as likely to taste notes of pineapple and pears from this most aromatic apple. How To Tell If They’re Ripe: The domestic harvest season starts in early October. Currently only grown in Oregon, this apple isn’t stored for year round use like other apples. The perfect combo of crisp and sweetness, you don’t want one that’s meely with a thick skin. But don’t let those green ones fool you. The color of their skin isn’t an indication of ripeness. At the beginning of the season, their skin is more green, while toward the end they’re bright yellow. 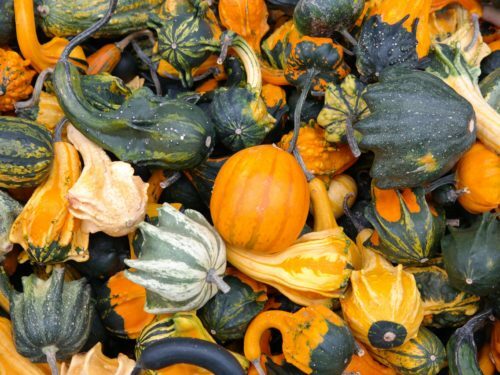 What fall produce list would be complete without Winter Squash? Two varieties in particular can easily be peeled with a peeler– butternut and delicata squash. Stay tuned for our upcoming story in which we’ll pay proper props to squash and pumpkin just in time for a trip to the pumpkin patch. Want to take part in this season’s fall produce with all the Thermomix® benefits above? Book a Thermomix® Cooking Experience today!